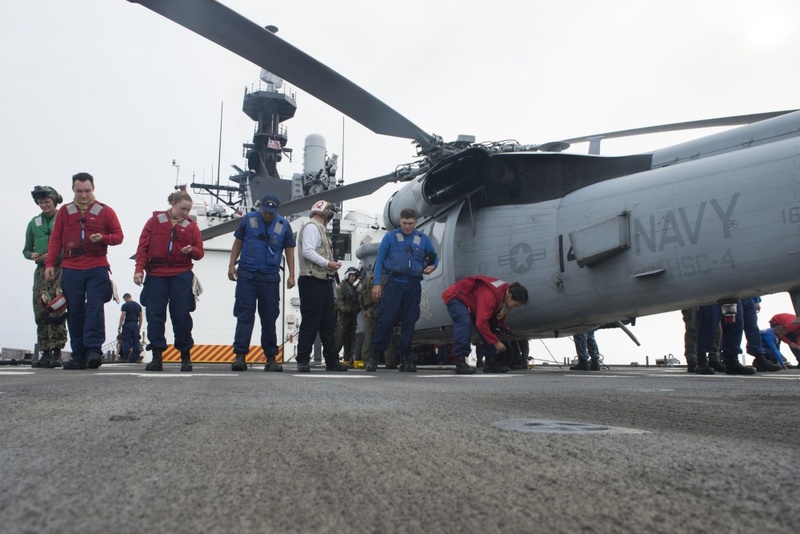 We previously discussed the fact that the Coast Guard is working on life extension programs for both the MH-65s and the MH-60s, but a recent post from the Naval Institute News Service brought up an interesting possibility that might offer increased capability. We would like to enlarge the MH-65 fleet, but, because that now appears impossible, we will be obtaining and rejuvenating some Navy H-60 airframes. Presumably these airframes will bring along their folding rotor blades and tails that would permit them to be hangered on most of our larger ships. This entry was posted in aircraft, helicopter by Chuck Hill. Bookmark the permalink.